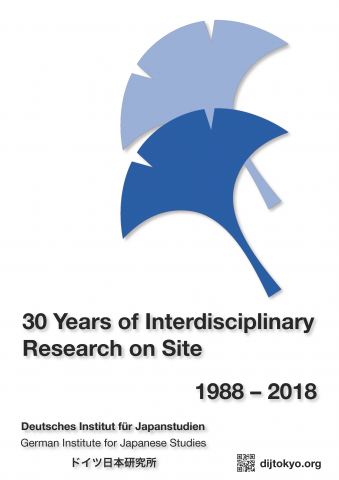 This publication gives an overview of the past 30 years here at the DIJ, including kind greetings from Hans Carl von Werthern (Ambassador of the Federal Republic of Germany in Japan), Yuriko Koike (Governor of Tokyo), Mitsuo Makino (Mayor of Iida City), Cécile Sakai (Director of the French Research Institute on Japan at Maison franco-japonaise) and Hans van Ess (President of the Max Weber Foundation). The booklet is available as PDF download. In case you prefer to order a physical version, please contact us.